Jo Event Solutions was started by Jo Osborne, an Events Management Professional who has over twenty years’ experience working in the industry. Having organised events for groups at Hotel Du Vin, to then working for three different local authorities organising mass attendance/participation events, Jo now applies this experience to organising her own events and assisting others to turn their dream into a reality. 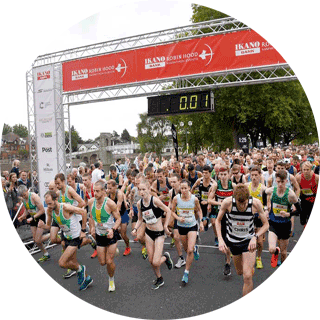 Jo stepped in as Production Manager on the 2016 Ikano Bank Robin Hood Marathon & Half Marathon in Nottingham. With only six weeks to go before the event, she did an amazing job. Jo has worked in the events industry since 2001, having begun by organising meetings and functions for groups at Hotel Du Vin, to then working for three different local authorities organising events for Eastbourne, Brighton & Hove, Shoreham and Worthing. Since setting up Jo Event Solutions in 2016, Jo has worked on a variety of mass participation/attendance events as well as consulted for local authorities. Jo has a wealth of experience and numerous qualifications including a Distinction in Nebosh Certificate. Whether you’re looking for an Event Manager, Production Manager, Event Consultant or Health and Safety Advisor, Jo has the ability to step into all roles. Jo Event Solutions is fully covered for Professional indemnity, Public and Products Liability, Employers’ Liability and Crisis Containment under Hiscox Business Insurance.